Total War in general has a lively modding community, and the Warhammer subseries is no exception. Unfortunately, the official mod manager for Warhammer 2 hasn’t been entirely up to the community’s standards, but a new unofficial option looks to correct those problems. Check out everything about Warhammer 2’s new DLC with our guide to the Tomb Kings. Primarily, Kaedrin’s mod manager allows for profiles, letting you switch back and forth quickly and easily between different loadouts of mods. That lets you have certain mods only when you’re playing certain races, or whatever particular mod proclivities you might have. Kaedrin has some more plans in store for the tool, mostly in the form of UI improvements and sorting changes. 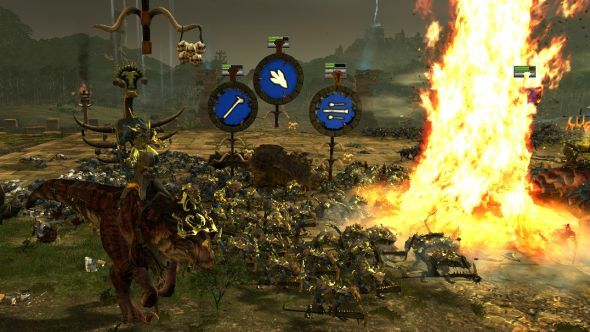 Either way, you’ve got a new way to organize your mods that should make life just a bit easier the next time you launch Total Warhammer 2. All you need to do is download and install the new manager via GitHub, disable all mods on the official launcher, and enable what you want through the new tool.